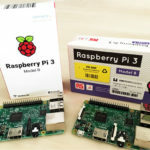 Last time, we learnt the basics about the Raspberry Pi, such as “What is it?” Through the works made with the Raspberry Pi, we were able to form an image of “electronic kits.” This time, I’d like to expand on this knowledge by actually experimenting and trying things out on the hardware itself. 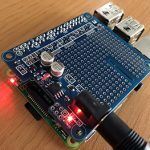 Let’s Check the Ports on the Raspberry Pi! OK, start up time!…Or it would be if I could find a power cord… Or a switch….I have no idea how to power this thing up before switching it on. As it doesn’t come in the box, this must mean that you have to prepare it yourself. So let’s first gather “the most necessary” components. This is a page from the Start Guide. 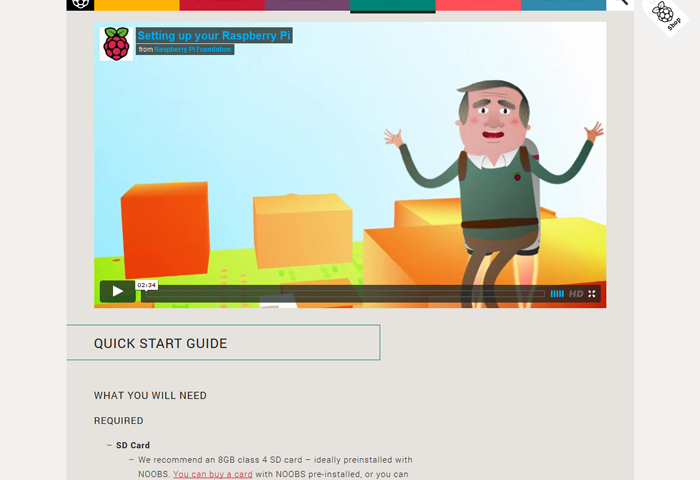 In the animated film, there is a man jetting around the Raspberry Pi and telling us lots of different things. He tells us about things we need, and things we don’t. Even if you don’t understand English, the video can still be understood and used as a reference for gathering components. Without further ado, these 5 items have been gathered. Aside from the HDMI cable, I already had these components to hand, so I’m recycling them here. You may be thinking that it’s a pain to have to gather these required components by yourself, but if you’re someone who’s into computers, you’re likely to have most of these things already, and it may actually be more convenient than it coming with extra components. Even though I gathered all of the components, I have no idea what goes where! The way to hook everything up was explained in the video, but it went too fast and I couldn’t keep up, so I looked for an easier-to-understand explanation. There was an illustration on the FAQ page! It’s very simple and easy to read. ….Is what I would like to say, but the labels and parts on the diagram, don’t match what’s on the actual unit. So, I’m having to search by trial and error. First of all, here is a picture with a birds-eye view. 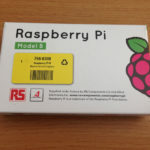 Since there is a picture of the Raspberry Pi logo, this seems to be the right way round. If you look closely, you can see lots of interesting letters and numbers! Since they’re written by the side of the components, I wonder if I should take these letters as clues when I’m not sure what goes where. It looks like something could slot into those long lines of pins where S2 and S5 are written in white. 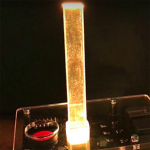 The LEDs in the upper-right look like they’ll come on once the unit is connected to a power source. There are five: “ACT”, “PWR”, “FDX”, “LNK”, and “100”. I have an idea what “ACT” and “PWR” might be for, but what about the others? The series of pins sticking up on the upper-left of the unit look like they might be what’s called the “GPIO port”. It’s a generic pin on an integrated circuit whose behavior, including whether it is an input or output pin, can be controlled by the user at run time. There are so many words that I don’t know, so I still have no idea what connects to what. It isn’t a case of just clipping one component in, but seems to be rather a case of creating each individual connection like this. Personally, this is the image I have of “electronic kits”. Let’s take a look from the side-on view. This is the front. In the center, you can see the HDMI port, where you can connect it to a display compatible with HDMI. I wonder if you can even use it with a TV that supports HDMI? Here I have turned it clockwise. The next part we’ll look at is the right-hand side. LAN is on the left and USB on the right. I use these a lot, so I actually know which ones they are! The USB ports will be used to connect the keyboard and mouse. However, I do have some concerns about plugging both of these required components at the same time. After some detective work, it turns out that you can use a self-powered (with power source) USB hub so that you don’t run out of power. I’ve never had to think about how much electricity the components that I have connected will use before! To give an example of what I mean, when I connect my iPhone by USB, it just starts to charge automatically and consumes electricity. On the left is the audio port, where you can connect some speakers or earphones. Though speakers or earphones are not required, I feel more at ease if I can hear the warning noise (should it sound), so find it more useful to prepare them too. The thing in the center yellow box is something called the RCA video port. This is a type of electrical connector commonly used to carry audio and video signals. These are the red, white, and yellow cables often used with TVs. The yellow is called the “composite connector”. Though the HDMI cable has been listed as a necessary component, it seems that you could use the RCA connector as well. Which also means that it looks like you can use this unit with even an older TV. Next up is the left-hand side. You can see that the part that says “POWER” on the right bottom corner has somewhere to plug in a microUSB cable, which will form your power cable. It’s so small that you may miss it on first glance. Coincidentally, I also heard that there are many types of microUSB, so I investigated a little. There are many types of USB! I think that most general USB memory falls under “Type A” (I didn’t actually know that any of the other types were even types of USB until now). 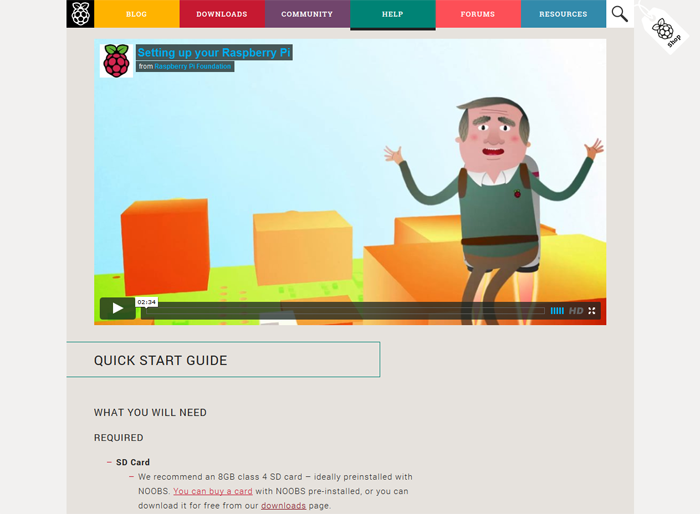 Judging by the diagram above, the Raspberry Pi is “Micro-B”. Since the power cord that I have for my smartphone is the same shape, I’m going to try connecting the Raspberry Pi to the power source with that. Lastly, here is the back of the Raspberry Pi. On the right is where the SD card slot is set. It looks like you have to insert the card face-up. There are many white letters on the back of the Raspberry Pi as well. I wonder if the reason that they’re so concentrated around the CPU is because they ran out of space to write them all on the front. If you look carefully, you can tell where the parts are that the components are attached to on the surface. It’s interesting just to look at each thing that is plugged or soldered in. Let’s Try Powering It Up! First of all, I want to see if I can power this thing up. 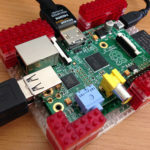 I want to check if this Raspberry Pi is broken or not. I’m going to attach the microUSB cable to the Raspberry Pi unit! The light for “PWR” in the top-right corner began to flash red. Since there’s no power switch, it seems that it’s safe to assume that it’s on when plugged in, and off when the plug is taken out. Very simple! However, as the microUSB is somewhere that’s very hard to plug things into, I am worried about breaking it. I really want them to build a switch into it. That’s another thing for me to talk about in the future. After assembling all of the parts that I needed, I was able to check the Raspberry Pi over all the way to powering up. Now, all I have to do is to connect all of the components…. or not. I still have to sort out the SD card! I have to install an OS onto this empty Raspberry Pi. This is the third page of the official website’s help pages. Next time I think I’d like to do a bit more preparation. This movie isn’t animated, and is instead presented by a geeky looking woman. I liked the animation, so that’s a shame, but I think being able to see the actual unit in this video makes things easier to understand. After giving this video a watch, it seems the only thing that I need is an SD card reader. 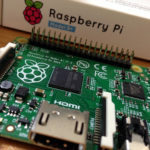 It looks like there will be lots of things that need to be done next time, but I would very much like to be able to boot up the Raspberry Pi as soon as possible!